In November-December 2017, I had a stay at the BnF in order to collect data for my current project on Iron Age coinages in the digital era. 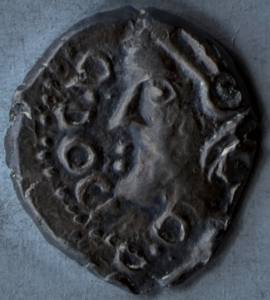 This project is based on the application of Reflectance Transformation Imaging (RTI) to Iron Age coins that belong to the Brazilian National Historical Museum (MHN). 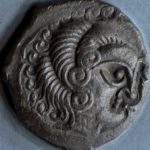 I started the project asking myself whether, besides considering the usage of new techniques, one can look at Iron Age Coinage under a new light. Digital visualization, and in particular 3D technologies offer us the means to not only register, preserve, and display artefacts and images, but also to analyse, compare and restore them. Contrary to what some scholars believed1, 3D technologies do not delude us, but rather help us to test working hypotheses and lead us to a better understanding of archaeological finds, both from a cognitive point of view (ie. from perception) and from its production. It would be naive to consider that 3D models reconstruct the past or constitute an exact replica of past structures, artefacts or environment. Those are in fact interpretations of the past based on data extracted from primary and secondary sources2, as it is usually done in any historical or archaeological research. The level of detail and type of design that is considered in a model directly depends on the research objectives. For example, 3D models can be used as tools for historians and archaeologists to understand possibilities regarding sensorial perception of space, with varying simulations of movement and visual perspectives – used even to understand the interaction between artefacts and structures in certain places. Digitized artefacts can then be viewed, presented and preserved with a level of detail never seen before. For objects that are corroded, 3D technologies can contribute to their preservation, as well as to the study of their use and wear along time. Moreover, digitized objects can be ‘handled’ in different ways. Not only can they be turned and seen in different positions, but also with different light incidence, which can, for instance, highlight details on the objects’ surface that cannot be usually perceived. These technologies can even unveil new shapes in the design that are important for the comprehension of past craftworks and patterns of consumption. For such cases, RTI is a valuable tool. 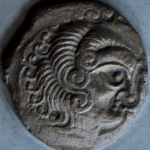 Along my stay at the BnF, I have been interested in its Celtic coin collection. 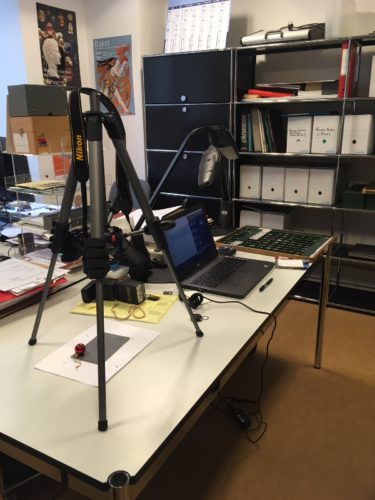 Here, I have been working with Highlighted RTI (H-RTI), a method that was developed by Mark Mudge, Marlin Lum e Carla Schroer3 from the Cultural Heritage Imaging. H-RTI is a very accessible method, which requires basic photographic equipment – i.e. DSLR camera, flash, radio flash, remote control, Kodak Grey card 18%, and tripod – a piece of string and a black or red reflexive ball. The photos were taken from a stationary position and I moved the flash around the object to obtain different light incidence. In my research, I decided to work with 48 images per coin side taken from 12 different positions around the objects at the angles of approximately 0°, 30°,65°, and 90° degrees. The photos were obtained in RAW format; they were then converted to JPEG for processing in the RTIBuilder software, which compiles the image data into a PTM or RTI file. After processing, the image can be viewed in the RTIViewer software. The next step will be to annotate the images in CHER-OB, a software created by the Yale computer graphics team. All the software is free and results from academic research in the area of computer science applied to cultural heritage. RTI, a method of computational photography, was created by Tom Malzbender and Dan Gelb, researchers at the HP Laboratory in 2001. Initially called Polynomial Texture Mapping (PTM), RTI captures an object image and colour in different light positions. It enables one to create interactive object re-illumination and run mathematical simulations of surface enhancement and colour attributes, which emphasize colour and texture for a better visualization of the artefact’s surface and for apprehension of its geometry. This method has drawn much attention, for it allows better understanding and unique visualization of the form, of the materials used, besides the decoration, colouring and drawing applied to the objects. In fact, it highlights any type of surface changes, what makes it particularly interesting for observing repairs and further alterations in design. Often these are changes and details that cannot be observed in photographs and might be relevant for analysis. 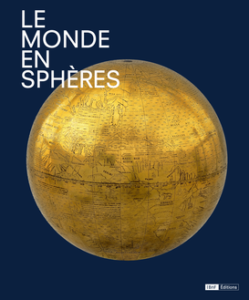 In other words, it allows one to see the changes made on the objects along their lives; this is of great interest for understanding the processes of destruction of images and inscriptions, for example; in a sense, the objects biography. 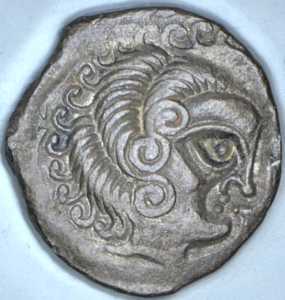 RTI has also been widely used to digitize collections that are being made available to the public, such as that of Pallazzo Blu. Additionally, RTI is equally suitable for corrosion studies, since one can easily observe the state of wear and corrosion of coin image and surface, as well as the identification of surface damages. I am particularly interested in that, as well as on the analysis of visuality on those pieces. 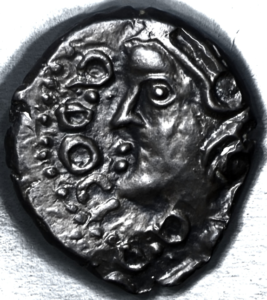 RTI can actually largely contribute to the further understanding of image compositions and techniques in Iron Age Coinage, such as in the use of rabatment5 or in the case of 3D illusions found on Curiosolitae monetary types. 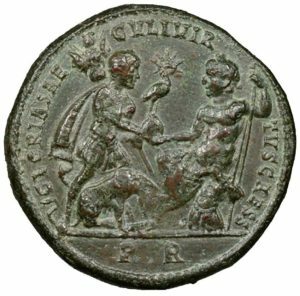 Citer ce billet : abarontacla, "For a Digital Archaeology of Coins? 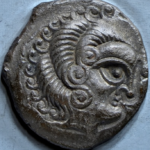 A RTI project on Celtic coins kept at the BnF", in L’Antiquité à la BnF, 19/02/2018, https://antiquitebnf.hypotheses.org/1746, [consulté le 24/04/2019].